It seems the summer does not want to end. Another beautiful day, even though it’s getting dark early. I made this sketch this evening, just an hour ago, halfway office and home. 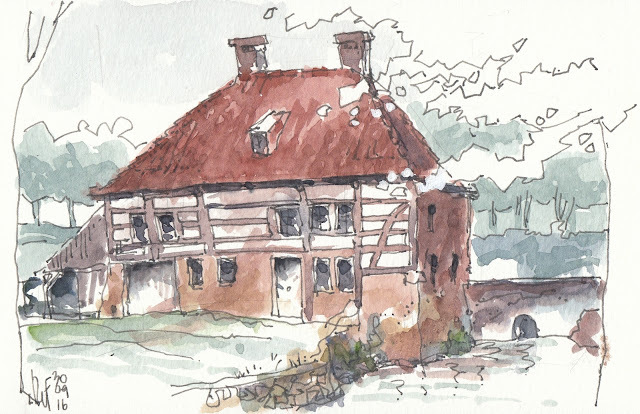 It’s an old watermill in Schinnen called “Borgermolen”. It’s in front of a castle : “Kasteel Terborgh”, which would be on the right side from where I am standing. Just enjoying the Indian summer. Weather change will come soon enough.